It’s always going to be easy to think that the more people that see your ad, the better. For geofencing this isn’t always true. If your geofencing ad doesn’t play to any specific demographic, chances are it won’t work as well as you hope. Because geofencing focuses on specific areas, your ad needs to reach the audience of that area with its eye catching content. Don’t get caught up in making your geofence as big as possible either. Small, spaced out geofences work better for reaching specific targets, and garnering new customers. Geofencing sounds like a great opportunity for any business, but many times it may not be cohesive with the campaign you’re running. 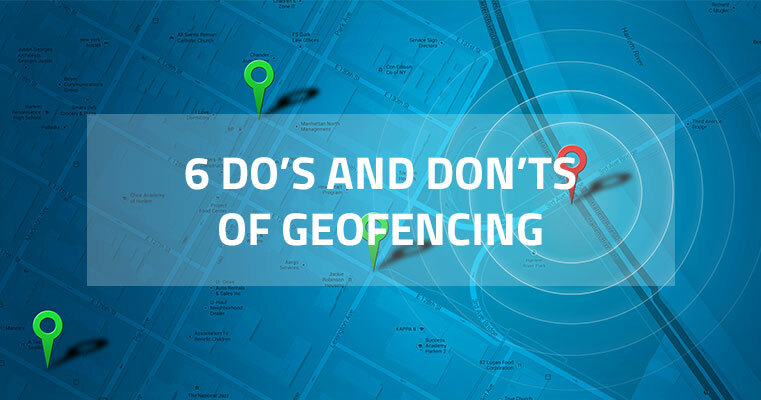 Even if you’ve had success in the past with geofencing, make sure it makes sense to continue using it for what you’re trying to do now. Geofencing isn’t just used for targeting areas to send people ads. It also provides a wealth of information about the people who view, and respond to your ads, and those who don’t. If someone enters your store or buys something you can set up your geofence to send them a request for feedback whenever you want. There’s plenty of ways to gather data from geofencing, and the data can be used to improve your other campaigns, or even target your competitors. More than likely not everyone is going to be interested in your business, so trying to get everyone to see your ad means a lot of wasted cash. Some people are not going to be interested in what you’re offering and sending them ads might just annoy them. To your actual and potential customers, sending an overarching message might not resonate well enough for it to be worthwhile. Keep your alerts more personal, and keep the messages for everyone spaced out. Location of your geofence is very important, and placing them strategically is the best way to maximize your spending. Just placing fences around stores will only get people in that area, but placing a fence around a high target area could bring in more new customers. Also make sure your fence size is right for the area you are targeting. Having too big, or too small of a fence could cause you to miss out on potential customers. There is plenty of data gathered from geofencing, and only looking at a few pieces isn’t the way to determine success. Even if your numbers aren’t hit there is always new information to help you in the future. Through geofencing you can find where your customers shop frequently, where they drive, and many other details to give you ideas on how to market to your customers. Not all geofencing suppliers have the tools to provide a cohesive, multi-channel approach to using this technology. Right Idea Media and Creative has done the hard work of reaching high value consumers, while using geofencing technology to increase your company's reach. Feel free to drop us a line with any questions!